Production of useful chemicals by industrial microorganisms has been attracting more and more attention. Microorganisms screened from their natural environment usually suffer from low productivity, low stress resistance, and accumulation of by-products. In order to overcome these disadvantages, rational engineering of microorganisms to achieve specific industrial goals has become routine. Rapid development of metabolic engineering and synthetic biology strategies provide novel methods to improve the performance of industrial microorganisms. Rational regulation of gene expression by specific promoters is essential to engineer industrial microorganisms for high-efficiency production of target chemicals. Identification, modification, and application of suitable promoters could provide powerful switches at the transcriptional level for fine-tuning of a single gene or a group of genes, which are essential for the reconstruction of pathways. In this review, the characteristics of promoters from eukaryotic, prokaryotic, and archaea microorganisms are briefly introduced. Identification of promoters based on both traditional biochemical and systems biology routes are summarized. Besides rational modification, de novo design of promoters to achieve gradient, dynamic, and logic gate regulation are also introduced. 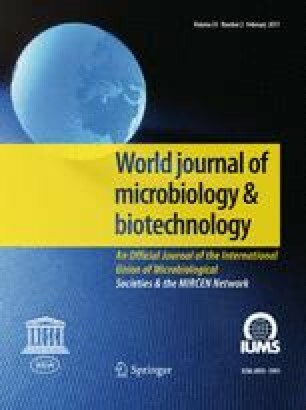 Furthermore, flexible application of static and dynamic promoters for the rational engineering of industrial microorganisms is highlighted. From the perspective of powerful promoters in industrial microorganisms, this review will provide an extensive description of how to regulate gene expression in industrial microorganisms to achieve more useful goals. This work was supported by the Major State Basic Research Development Program of China (973 Program, 2014CB745100), the National Natural Science Foundation of China (31370130), the Foundation for the Author of National Excellent Doctoral Dissertation of PR China (FANEDD, 201256), the Key Technologies R & D Program of Jiangsu Province (BE2014698), and the 111 Project (111-2-06).